The Lucy Maud Montgomery Institute is getting a boost from fans who are selling off their collections as a fundraiser. 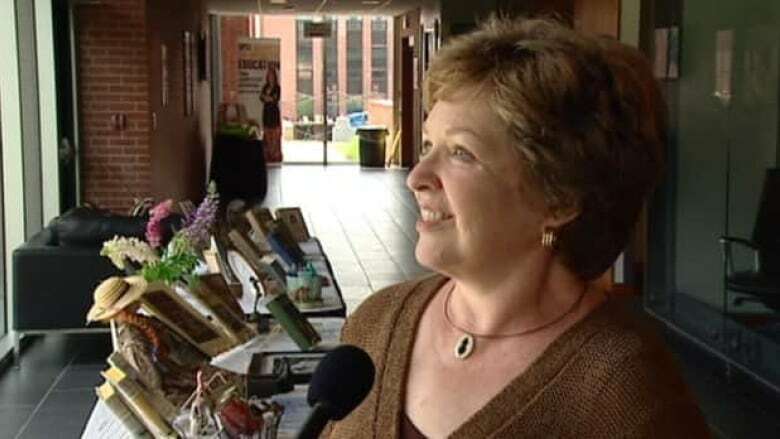 The supporters are part of a new group called Friends of the Lucy Maud Montgomery Institute. The founding members are all from Minnesota, but they welcome members from around the world. Christy Woster, one of the founding members, is a big fan of Montgomery’s best-known creation, Anne of Green Gables, and a lifelong Montgomery collector. "When my daughters were born I decided, well, I have to name them Anne and Emily," Woster said. Woster’s group is making its debut at the 10th Lucy Maud Montgomery conference underway at the University of Prince Edward Island. Carolyn Storm Collins, another member, said they decided to fundraise after they asked the UPEI library to digitize some of their Montgomery material and were told there wasn’t enough money for it. "You know, universities are strapped all the time for funding and have so many requests that we thought an independent group raising funds especially for the institute here would be in order," she said. So, members hauled their collections to P.E.I. Mary Beth Cavert, another member, said they hope "that people will bid on them and value them as much as we do." Now 100 years worth of memorabilia is up for auction. Collectors can bid on the items until Saturday afternoon. The new group hopes to raise more than $2,000. All of the money will go to the institute. But it’s not just the money that’s important to the centre, said Mark Leggott, chair of the institute. "The first and most important thing is not the financial support but it's the facilitating continued and renewed interest in Lucy Maud Montgomery and her writings and what the institute represents in terms of that," he said.